It’s been a great year for puppeteers trying to break through in the music video world. 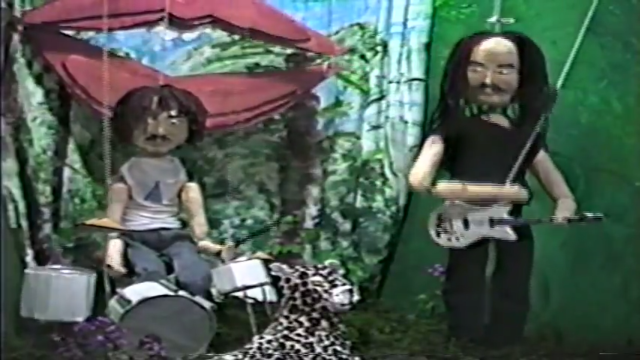 Shamir’s “Call It Off” video was an adept nod to Sesame Street not easily followed by Tame Impala’s “Cause I’m A Man” piece, and now, JEFF The Brotherhood have released a video for the Wasted On The Dream track “In My Mouth.” Created, filmed, and edited by Halle Ballard, the piece shows puppet versions of the Nashville brothers performing in front of changing background. After seeing JEFF perform at our SXSW Austin Invasion showcase, I’d say the impressions are pretty spot-on; watch below. Wasted On The Dream is out now via Infinity Cat.